A weekend getaway for two on a Riverland houseboat. 2 night’s accommodation at Donington Cottage, Lincoln National Park (sleeps up to 6) PLUS 2 nights lodge accommodation in Inneston Historic Village, Innes National Park (sleeps up to 10). A family Kangaroo Island Tour Pass (2 adults and 2 children) valid for 12 months. A weekend getaway on Kangaroo Island for two – Sealink ferry included. 2 night’s accommodation at either a lighthouse keeper’s cottage at Cape Willoughby Conservation Park (sleeps up to 9); or a lighthouse keeper’s cottage at Flinders Chase National Park (sleeps up to 7). Family Membership to Cleland Wildlife Park (2 adults and 2 children) valid for 12 months. 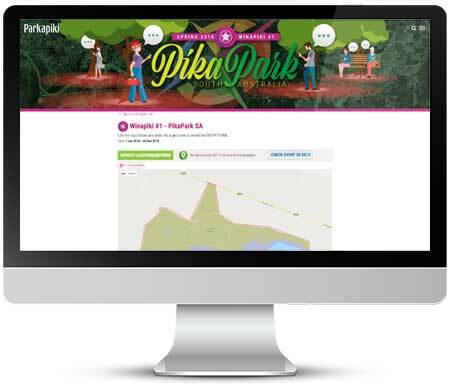 Parkapiki’s Blog features a collection of articles about parks and outdoor spaces and the way they interact with ParkPals and the Parkapiki community.